The ten of spades announces a sad event. In cartomancy this card is quite negative as it brings sorrow, sadness and pain. 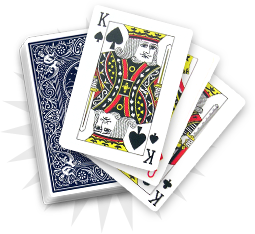 Nevertheless, the other cards from the reading can easily balance the negative aspects of the ten of spades. This card can indeed only be interpreted with the other ones picked by the consultant. 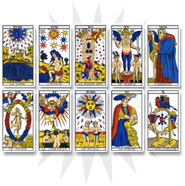 Depending on the arcana associations, the ten of hearts may indicate a time of loneliness and depression that may last a bit. In its negative aspects, the card can also announce sickness. Associated with some heart cards, the ten of spades can evoke triumphing on danger, success in difficulty or the realization of a project. 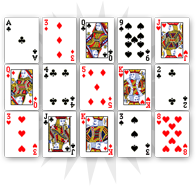 The ten of spades indicates a negative moment in your life. 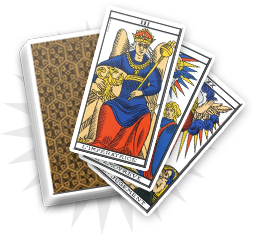 Nevertheless, it is not part of the “strong” cards and you should easily face your problems. The other cards picked will show you the right path to follow. The ten of spades brings a bad omen for your relatives, as it announces sadness. In the upcoming weeks, one of your close friends or family will encounter difficulties and will need you. Should it be romantic, material or professional, you will have to be there for that person; as behind all sad things hope remains. Now is the time to share all your generosity and help your peers.